Afrika. "Africa Ex magna orbis terre descriptione Gerardi Mercatoris desumpta, Studio & industria G. M. Iunioris". Kol. Kupf.-Kte. von Gerard Mercator, Jr., Amsterdam, 1595. Mit ausgem. fig. Kart. 38:47 cm. Norwich 21; Koeman I, map 8600:1A, ed. 1:102 (1607-1608 Latin). - A classic map of Africa. This is a beautiful, finely engraved, map of Africa known in the second half of the 16th century. 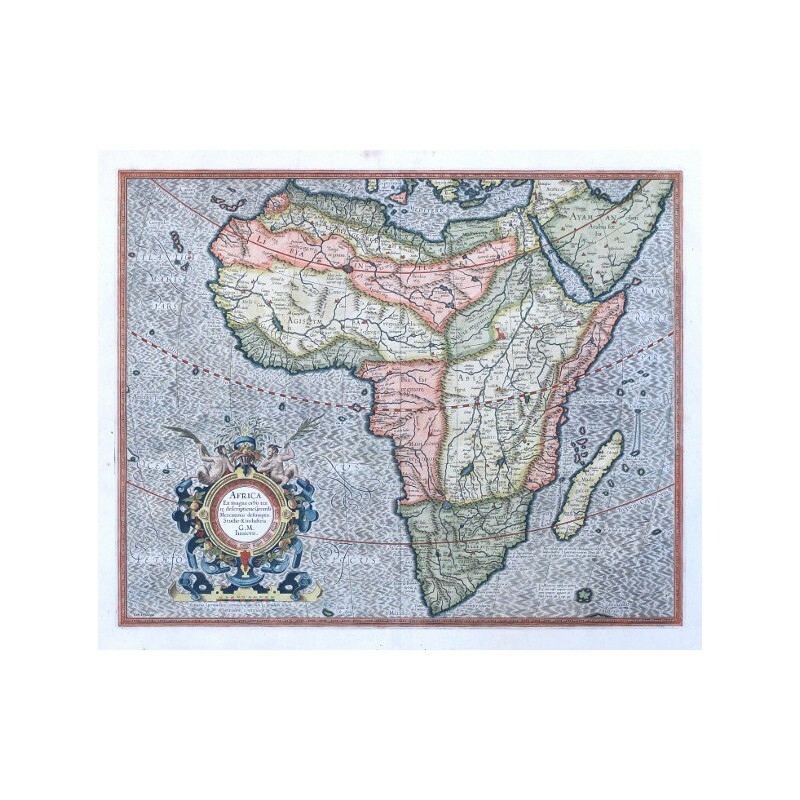 The map is based on the Africa section of Gerard Mercator's famous twenty-one sheet wall map of the world of 1569. 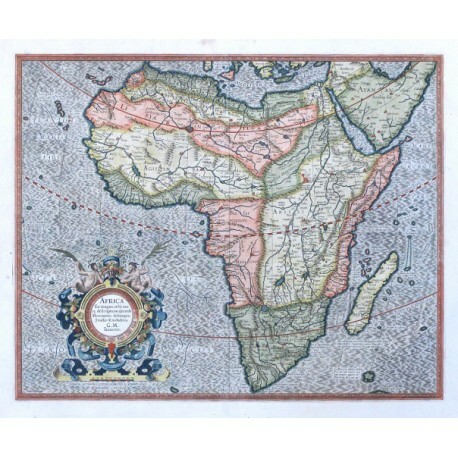 This Africa map was completed by Gerard's grandson, also named Gerard, in 1595, the year after Gerard Mercator's death.